The six young people selected to serve on the 2018-2019 National Venturing Officers’ Association will play a critical role. With the support of adult volunteers and professionals, they will shape Venturing’s future, make important decisions and serve as Venturing’s public face. 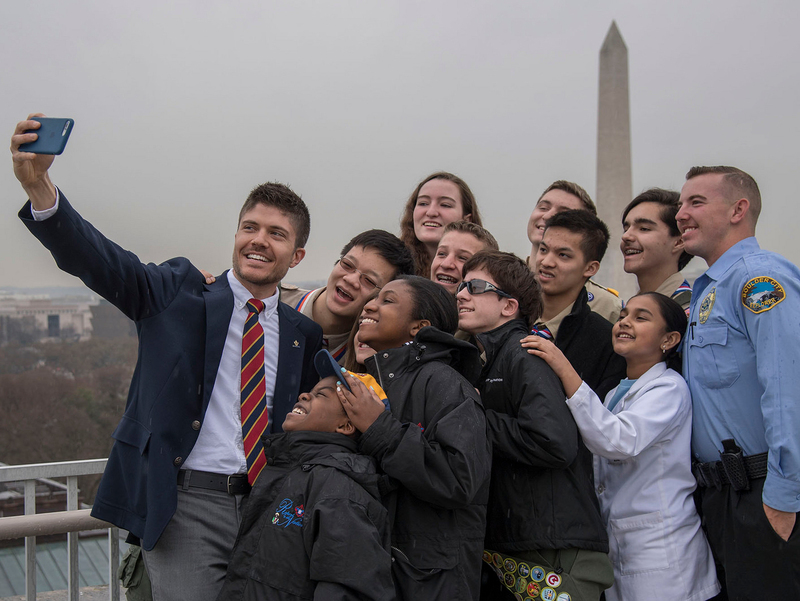 The 2018-2019 National Venturing Officers’ Association president, Dominic Wolters, will become one of the three top youth leaders in Scouting. He joins Jack Otto, 2018-2019 National Sea Scout Boatswain, and Anthony Peluso, 2018 National Chief of the Order of the Arrow. Let’s meet the members of your 2018-2019 National Venturing Officers’ Association. You’ll hear about their favorite Scouting memories, an adult who made a difference, their favorite piece of camping gear and more. Favorite Scouting memory: “Watching the sunset over the Tooth of Time at Philmont when I was at [the Philmont Training Center] teaching last summer.